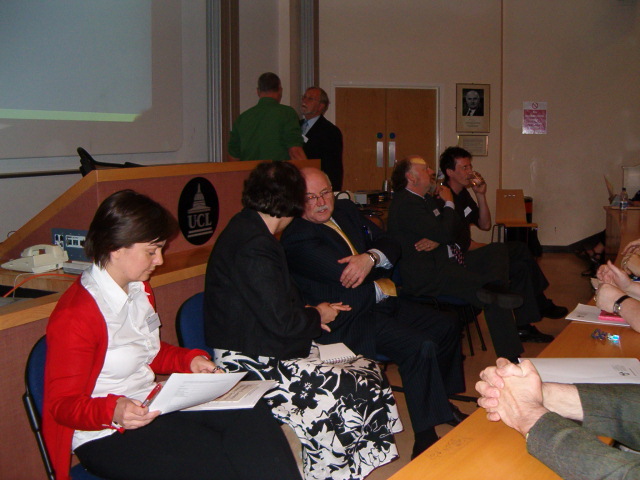 The second National Council on Archives’ Community Archives Development Group (CADG) Conference, co-hosted by the UCL School of Library, Archives and Information Studies, was held on 18th June 2008 at UCL. This year’s conference, entitled ‘Partnership and Community’, built on last year’s success in showcasing the diverse work by individuals, groups and local and national organisations involved in the community archives movement. Over 120 delegates from a wide variety of backgrounds, including archivists, curators, community leaders and volunteers, gathered at UCL to listen to a similarly wide variety of speakers, including Gerry Slater, the former Director of the Public Record Office of Northern Ireland. The tone for the day was set by his keynote speech which emphasised how archival records and materials can be used as a starting point to heal difficult community tensions through illustrating areas of shared experience. Following this, the day’s speakers presented a number of case studies of community archive projects and partnerships from different geographical locations and subject areas. These case studies included the Northamptonshire Black History Project’s work with the Northamptonshire Record Office; the Doxford Engine Friends Association experience of Beamish Open Air Museum’s Heritage Cubes Project; the Cambridge Community Archives Network, partnership between Cambridgeshire Library Services and a number of local community archives including Ramsey Community Archive; the interaction between the Marsh History Group, Lancaster and English Heritage; and finally as an example of an independent organisation working with a variety of formal heritage partners, The rukus! Black LGBT Archive. 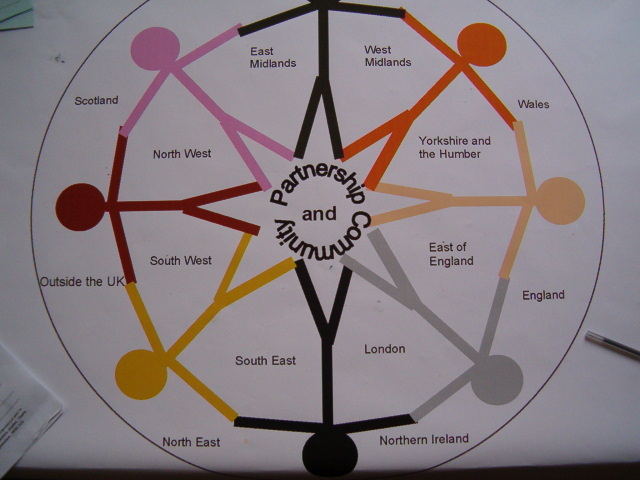 All of the case studies illustrated how community archive projects have been established, supported and developed, and examined the benefits and challenges of collaborative working from both sides of the partnership. It was particularly interesting to hear from some of the volunteers that had been involved in those projects. The Heritage Cubes Project, run by Beamish and Tyne and Wear Museums, allows local community groups to store artefacts in a museum store. Their invitation to speak at the conference illustrated the direction that CADG is taking towards promoting partnership between all areas of the heritage sector and community groups. This was emphasised by the announcement from Vic Gray, Convenor of CADG that the Group is to be renamed the Community Archives and Heritage Group. In addition to the case studies, delegates were also able to discuss any individual problems with various experts during the lunch break, where practical advice was given on technical issues such as conservation and grant applications. 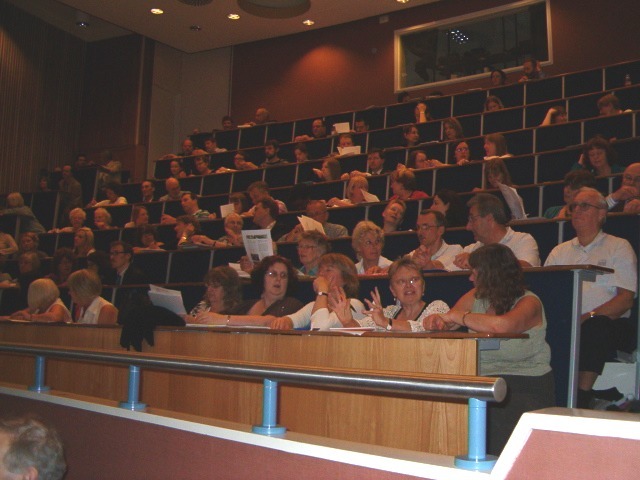 The conference also provided participants with an opportunity to meet other community groups in similar situations, and to chat and share their experiences and knowledge. Although the problem of funding and the related issue of sustainability were raised during the day, most participants seemed resolute in the face of future adversity. Furthermore the good work of such projects, which can often provide a new lease of life for communities struggling to find their voice, demonstrated the importance of such partnerships not only for heritage institutions and community groups but also for a potentially wider audience in the future. It is hoped that such partnerships will make possible the preservation of a wider variety records and materials that will help to bring the past to life for future generations.